So You want to host a premiere for Return to Earth? 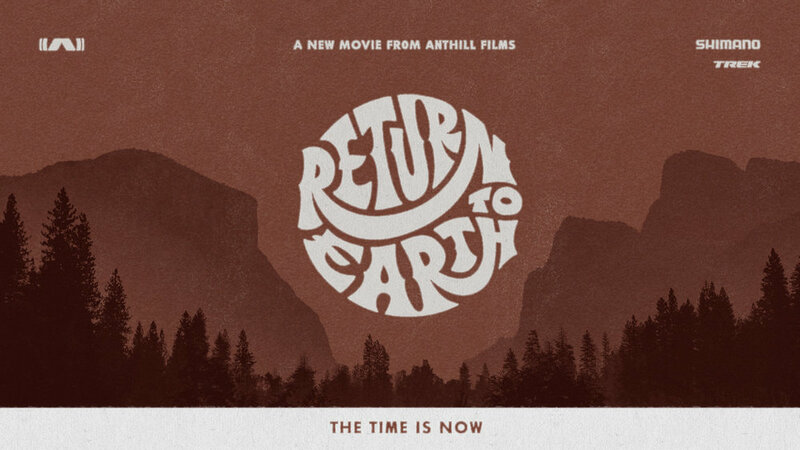 Anthill Films is excited to present you with the opportunity to host a film premiere or screening event for our new feature film, Return to Earth. The crew is currently hard at work on post­production for the film with the World Premiere slated for June 14, 2019. You are receiving this information because you’ve hosted an event for one of our films in the past or have expressed interest in doing an event in the future. This document will give you some key details on the film and the benefits you will receive as a premiere tour host. Click the link below to request a tour event… but maybe read this first! CLICK HERE TO REQUEST A TOUR EVENT. It’s time to Return to Earth. We increasingly live in a culture of distraction; constantly conducting our lives through 24/7 connectivity. We feed this attention economy with our most precious resource: our time. Time is either spent wisely or it is just spent. Second after second; minute after minute; moment after moment… they’re all there for the taking. Return to Earth is a feature mountain bike film about the simple act of living in those moments. A cinematic journey connected by true to life examples set by riders of all ages around the world, the film will show that when we lose track of time, we make the most of it. Starring: Brett Rheeder, Ryan Howard, Casey Brown, Brandon Semenuk, Thomas Vanderham, Matt Hunter Jackson Goldstone, Jakob Jewett, Dane Jewett, Tahnee Seagrave, Kaos Seagrave, Kade Edwards, Joey Schusler, Thomas Genon, Emil Johansson, Reed Boggs, Carson Storch. Presented by: Shimano and Trek. In association with Evoc, Sony, Whistler Mountain Bike Park, Clif Bar, Pink Bike, Trail Forks and Freehub Magazine. With support from Bike Park Lenzerheide, Spawn Cycles, Clif Bar, Rocky Mountain Cycles. Website: A comprehensive tour section will be created on Anthill’s website with full listings and links to all events. Social Media:Promotion of events through Instagram, Facebook and Twitter. Premiere events will be listed on Anthill’s Facebook page. Media Relations: Anthill will create a press release announcing key premiere tour stops that will be sent to all relevant media in the weeks leading up to the world premiere. An exclusive World premiere story will be featured prominently on Pinkbike.com to promote subsequent premiere tour events. Sponsors: the film’s sponsors will be made aware of all premiere tour events and encourage to work directly with hosts to activate with interactive experiences and giveaways. The Film: At least 48hrs prior to your event, Anthill will provide an HD or 4K digital download (H.264) of the film and rich media slideshow (includes video and audio clips). It is essential that all hosts download and test the film and slideshow files at the venue, at least 24hrs prior to your event. Additional formats are available (i.e. BluRay, DCP) upon special request at an additional cost. We want to work with you to create the best event possible. If you have ideas and plans to make your show a fun and unique experience, we will work wit you to try and make that happen. A dedicated premiere tour manager will be available to work with hosts on their event plan and answers any questions that come up. Premiere Events: take place BEFORE the release of the film on iTunes and other digital channels. These exclusive, ticketed events are the best way to experience the film and typically take place in independent theatres and venues specially designed for audio-visual events. Screening Events: take place AFTER the film is available for sale as a digital download globally (iTunes, Google Play, Vimeo, etc…). Screenings are any public showing of the film and can occur in a wide range of venues, including bars and outdoor events. Non­-Profit shows: We know that many hosts use these events to raise money for great mountain bike (and other) causes. If you are a registered non-profit organization, your event is eligible for the non­-profit licensing fee. All non-­profit shows must report the proceeds raised by the event to Anthill. We recognize that each event is unique and we will work with you to customize a package that meets your specific needs. Discounted rates are available for anyone hosting 3 or more events. Ensure that all A/V equipment used will be of sufficient quality for a first-class screening of the film. The projector, screen, and speakers must be of appropriate size and quality for the venue being used. That’s a lot of information to take in.Feel free to contact us directly (premieres@anthillfilms.com) if you have any questions and check out the FAQ below. To request a premiere or screening event, please complete the short online form and we will be in touch to confirm your event. Q: What type of projection equipment is required? A: That depends on the type of show you are hosting. If you are hosting a premiere event, you should be creating the best possible viewing experience for your guests. That typically means a professional-quality projector (vs. consumer home theatre) on a large format central screen with a minimum of HD resolution (1080). If you are hosting a screening event, it’s possible to show the film with lower quality viewing experiences, such a a multi-screen set up in a sports bar, or a home-theatre project and screen for small events. Q: Does Anthill make a profit off these events? A: No. Anthill’s primary goals are to increase awareness for the film and help raise money for mountain causes all over the world. The fees charged help cover the expenses associated with producing the assets and managing the film tour. Q: What should we be charging per ticket? A: This is something you will need to determine based on the type of event you will be hosting, what’s included and the specific costs involved. Before hosting an event, it’s important to create a budget. Typically, ticket prices for premieres vary from $10-20. Q: How much is “normal” for a theatre to charge for hosting? A: There is no “normal” in this world, as it totally depends on the venue you want to host your event in. Location, capacity, prestige, timing and availability are all factors that have an impact on costs. Some venues, such as bars, do not charge a fee at all, others charge $10K or more. Q: What’s the most effective way to draw in a crowd? A: Here are a few ideas… Work with local trail associations, mountain bike clubs and bike shops to spread the news of your event through their channels. Print posters and place them in key areas a week before you event. Create a Facebook event page, that everyone can share an invite their own friends to. Talk to local media about doing a story on the film and in their weekly entertainment updates (Anthill crew and athletes can be available for interviews upon request). Use the assets provided in the marketing toolkit to spread awareness on your own social media channels. Look for local, non-competitive partners (brands cannot conflict with film partners) who can help you create a fun event and spread the word. Tie in your event with other mountain bike events that are already happening. Or host a ride a beforehand to make it even more fun! Q: Can I use online ticket sales for email and address capture? A: Yes, if the venue permits it. If you are collecting audience data, you must add an opt-out that allows for inclusion on Anthill’s and our partners email newsletters (text for opt-out will be provided by Anthill). Q: Can I sell my own merchandise at the screening? A: Yes, if it is permitted by the venue and does not complete with any of the film’s official partners.